The Premier League 20 Seasons Awards were a set of English football awards which marked the first 20 years of competition in the Premier League, the top-level domestic league competition of professional football in England. The awards celebrated the first two decades of the Premier League, which was formed in 1992 when the 22 clubs of the old First Division resigned en-masse from The Football League. Awards were presented in a number of categories for both teams and individuals, covering the period from the inaugural 1992–93 season which kicked off in August 1992, through to the 2011–12 season, which ended on 13 May 2012. Voting ended on 30 April 2012. Awards included best manager, best player and best goal. Having been established on 20 February 1992, the new League began its inaugural season on 15 August 1992. From that inaugural 1992–93 season, the end of the 2011–12 season marked the 20 seasons anniversary of the Premier League. After its creation, the Premier League carried on the traditional system of promotion and relegation, which sees the exchange of teams between the lower division at the end of each season, based on finishing positions. The league consisted of 22 teams for its first three seasons, and was thereafter reduced to 20 teams at the end of the 1994–95 season, by virtue of one extra team being relegated and one less team being promoted. In all, 45 teams competed in the Premier League's first 20 seasons, with only seven teams managing to stay in the league for the full 20 seasons – Arsenal, Aston Villa, Chelsea, Everton, Liverpool, Manchester United, and Tottenham Hotspur. In that time, only five teams ever won the League title: Manchester United (twelve times), Arsenal (thrice), Chelsea (thrice), Manchester City (once) and Blackburn Rovers (once). Manchester United were also the most successful team overall, never finishing outside of the top-three positions. The awards were divided into 11 categories. Fans could vote for Best Goal, Best Match, Best Save, Best Celebration and Fantasy XI of the 20 Seasons on the Premier League website. A panel selected winners for Best Player, Best Manager, Best Team, Best Season, Best Quote and created a second Fantasy XI Team to compare to the public vote. In addition, a four fact-based awards were also given for Most Appearances, Top Goalscorer, Most Clean Sheets and Premier League 500 Club players. Barclays, the Premier League title sponsor also gave awards, for Best Photographer and Best Shot. 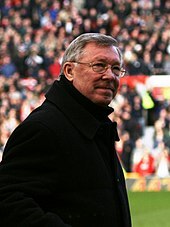 Sir Alex Ferguson won twelve Premier League titles as Manchester United manager. Ryan Giggs is the only player to have played and scored in all 20 Premier League seasons. Arsenal's "Invincibles", who finished the entire season unbeaten during the 2003–04 season on their way to winning the league title, were voted as Best Team. The 2011–12 season was awarded the Best Season after the title race reached the final few seconds of the final match of the season and won by a goal difference for the first time in the Premier League history. With Manchester City 2–1 down to the 10 men of relegation-battling Queen Park Rangers as the match proceeded into injury time, it looked as if Manchester City had blown the chance to win the Premier League as rivals Manchester United were beating Sunderland. However an equaliser by Edin Džeko in the 91st minute gave City hope. The final whistle went at Sunderland with United winning, meaning City still needed a goal to win the match and the Premier League title. Sergio Agüero exchanged passes with Mario Balotelli, continuing his run into the QPR penalty area, then slid the ball past a diving QPR defender and fired a shot which flew past goalkeeper Paddy Kenny to win the title for City. The goal came just fifteen seconds after the United match concluded. The season was notable for the three promoted clubs, all of which survived relegation for the first time since the 2001–02 season. There were also memorable, high-scoring matches between the top clubs. Manchester City beat Tottenham Hotspur 5–1 at White Hart Lane hours before Manchester United beat Arsenal 8–2 at home. City then beat United 6–1 at Old Trafford and Arsenal beat Chelsea 5–3 at Stamford Bridge. The final UEFA Champions League spot was yet to be determined, even after the league season concluded, as sixth-placed Chelsea had still to compete in the Champions League Final and could qualify as title holders, at the expense of the fourth-placed team. Kevin Keegan's "I would love it..." quotation won the Most Memorable Quote award. The quote of "I would love it if we beat them. Love it! ", declared live on television by Newcastle United manager Kevin Keegan on 29 April 1996, was chosen as Most Memorable Quote by a panel of judges. 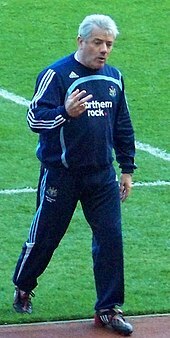 Keegan was speaking about Newcastle's Premier League title rivals Manchester United, in the closing stages of the 1995–96 season. When you do that with footballers like he said about Leeds, and when you do things like that about a man like Stuart Pearce. I've kept really quiet but I'll tell you something, he went down in my estimations when he said that. We have not resorted to that. You can tell him now, we're still fighting for this title and he's got to go to Middlesbrough and get something. And I'll tell you, honestly, I will love it if we beat them. Love it. But it really has got to me. I've voiced it live, not in front of the press or anywhere. I'm not even going to the press conference. But the battle is still on and Man United have not won this yet. Manchester United went on to win the title by four points after Keegan's Newcastle drew their last two games 1-1. The Keegan quote also won the Premier League 10 Seasons Awards in April 2003. When the seagulls follow the trawler, it is because they think sardines will be thrown into the sea. Thank you very much. The trick is always buy when you're strong so he needs to buy players. You can't win anything with kids. You look at that line up Manchester United had today and Aston Villa at quarter past two when they get the team sheet, it’s just going to give them a lift and it will happen every time he plays the kids. He's got to buy players, as simple as that. We have to carry on doing our best. It's getting tickly now – squeaky-bum time, I call it. It's going to be an interesting few weeks and the standard of the Premiership is such that nothing will be easy. Please don't call me arrogant because what I'm saying is true. I'm European champion so I'm not one of the bottle. I think I'm a special one. 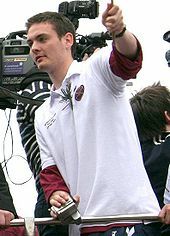 Sunderland's Craig Gordon won the award for Best Save. The award for Best Save was given to Sunderland goalkeeper Craig Gordon, for his save against Bolton Wanderers at the Stadium of Light on 18 December 2010. After the goal from Danny Welbeck on 32 minutes, Gordon's save was made in first-half stoppage time with a corner flung in from the Bolton right and headed into the six-yard box by Gary Cahill, with Zat Knight touching the ball goalwards from close-range. Gordon's save won with 18% of the public vote, beating Schmeichel's save for Manchester United against Newcastle into second place, and Jääskeläinen's save for Bolton Wanderers against Manchester United into third place. Wayne Rooney won the award for Best Goal. 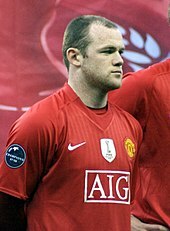 The award for Best Goal was given to Manchester United striker Wayne Rooney, for his goal against Manchester City at Old Trafford on 12 February 2011. After goals from Nani on 41 minutes and Manchester City David Silva on 65 minutes, Rooney's goal was the last of a 2–1 win for United in the Manchester derby. Rooney's made a spectacular overhead volley kick to beat City goalkeeper Joe Hart. Rooney's goal won with 26% of the public vote, beating Bergkamp's goal against Newcastle into second place with 19%, and Henry's strike for Arsenal against Manchester United into third place with 15%. "I've never seen anything like it, that's for sure. Absolutely stunning. Unbelievable. The thing about that goal is that Nani's goal will be completely forgotten and it was a fantastic goal. [His] first touch takes it around the defender and he rolled it into the net. It was an unbelievable goal but no-one in their right sense will even talk about it!" The award for Best Match went to the fixture between Manchester United and Manchester City at United's home ground Old Trafford on Sunday, 20 September 2009, which ended 4–3 to United after a stoppage time winner from striker Michael Owen. United's 4–3 win against City won with 18% of the public vote, beating Liverpool's 4–3 win against Newcastle into second place with 15%, and Liverpool's 4–4 draw against Arsenal into third place with 14%. The award for Best Goal Celebration was given to Manchester United striker Eric Cantona, for his nonchalant celebration after he chipped the ball over the advancing Sunderland goalkeeper Lionel Pérez at Old Trafford in December 1996. Cantona's celebration won with 26% of the public vote, beating LuaLua's celebration for Newcastle in multiple occasions into second place with 18%, and Bullard's celebration for Hull City against Manchester City into third place with 15%. Two Fantasy Teams were chosen, one by a panel of judges and the other by public vote. Nine players were selected by both public and the panel. Chosen from a list of 80 players, the public and panel of judges teams differed by only two players. The award for Best Photographer was given to Mark Leech from the Offside Sports Photography company. Darren Walsh – Chelsea F.C. The award for Best Shot was given to Robin Parker from the FotoSport company, for his photograph of Manchester United player Wayne Rooney's overhead kick against derby rivals Manchester City on 12 February 2011. 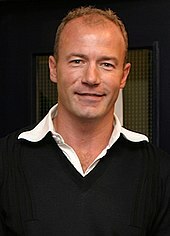 Alan Shearer won both the 10 seasons and 20 seasons awards for most goals scored. 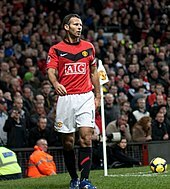 Most Appearances: Ryan Giggs was recognised for having made the most appearances in the first and second decades of the Premier League. While playing for Manchester United, Giggs made a total 598 Premier League appearances. Top Goalscorer: Striker Alan Shearer was recognised for having scored the most goals in the Premier League's first and second decades. While at Blackburn Rovers and then Newcastle United, Shearer scored a total 260 Premier League goals between 1992 and 2006. Most Clean Sheets: Goalkeeper David James was recognised for keeping the most clean sheets in the Premier League's first and second decades. While at Liverpool, Aston Villa, West Ham United, Manchester City and then Portsmouth, James kept a total 173 Premier League clean sheets between 1992 and 2010. Premier League 500 Club: The award was given to players who have played at least 500 matches in the Premier League history. Those were, Ryan Giggs, David James, Gary Speed, Frank Lampard, Emile Heskey, Steven Gerrard, and Sol Campbell. ^ a b "Voting closes in the 20 Seasons Awards". Premier League. 1 May 2012. Retrieved 1 May 2012. ^ "20 Seasons Awards: The Winners". Premier League. 15 May 2012. Archived from the original on 18 May 2012. Retrieved 15 May 2012. ^ "History of the Premier League". Premier League. 24 November 2011. Archived from the original on 21 April 2012. Retrieved 17 April 2012. ^ "Premier League launches 20 Seasons App". Premier League. 12 April 2012. Retrieved 17 April 2012. 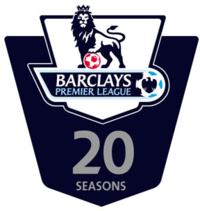 ^ "2Premier League to launch 20 Seasons Awards". Premier League. 12 April 2012. Retrieved 12 April 2012. ^ a b c "Barclays reveal photographer award shortlist". Premier League. 26 April 2012. Retrieved 26 April 2012. ^ "20 Seasons Awards: Best Manager nominee Sir Alex Ferguson". Premier League. 19 April 2012. Retrieved 19 April 2012. ^ "Ferguson wins 20 Seasons Best Manager". Premier League. 15 May 2012. Retrieved 15 May 2012. ^ "Premier League 20 Seasons Awards: Best Manager". Premier League. 17 April 2012. Retrieved 17 April 2012. ^ a b "Premier League 20 Seasons Awards: Best Player". Premier League. 17 April 2012. Archived from the original on 8 February 2013. Retrieved 17 April 2012. ^ "Giggs named Best Player in 20 Seasons Awards". Premier League. 15 May 2012. Archived from the original on 18 May 2012. Retrieved 15 May 2012. ^ "Arsenal's Invincibles win Best Team award". Premier League. 15 May 2012. Retrieved 15 May 2012. ^ "Premier League 20 Seasons Awards: Best Team". Premier League. 17 April 2012. Retrieved 17 April 2012. ^ "Best Season Award goes to 2011/12 campaign". Premier League. 9 May 2012. Archived from the original on 12 May 2012. Retrieved 9 May 2012. ^ "Manchester City seal title at the last as Sergio Agüero sinks QPR". The Guardian. 13 May 2012. Retrieved 16 May 2012. ^ Farley, Richard (13 May 2012). "Offshore drilling, England: at Manchester City 3, Queens Park Rangers 2". ^ "Manchester City's dramatic comeback voted as greatest ever by Goal.com readers - Goal.com". 14 May 2012. ^ "Premier League 20 Seasons Awards: Best Season". Premier League. 17 April 2012. Archived from the original on 15 July 2013. Retrieved 17 April 2012. ^ "Keegan wins 20 Seasons Most Memorable Quote". Premier League. 6 May 2012. Retrieved 6 May 2012. ^ a b Moore, Glenn (1 May 1996). "Keegan in danger of cracking under the strain". The Independent. London. Retrieved 6 May 2012. ^ a b c "Angry Keegan rises to challenge". The Independent. London. 30 April 1996. Retrieved 6 May 2012. ^ "Scholes provides United with the firepower". The Independent. London. 29 April 1996. Retrieved 6 May 2012. ^ "Premier League 20 Seasons Awards: Best Quote". Premier League. 17 April 2012. Retrieved 17 April 2012. ^ a b c "Sunderland's Gordon wins Best Save Award". Premier League. 11 May 2012. Retrieved 11 May 2012. ^ "Sunderland 1–0 Bolton". BBC Sport. BBC. 18 December 2010. Retrieved 11 May 2012. ^ "Premier League 20 Seasons Awards: Best Save". Premier League. 17 April 2012. Retrieved 17 April 2012. ^ a b "Rooney stunner wins 20 Seasons Best Goal". Premier League. 3 May 2012. Retrieved 3 May 2012. ^ a b "Man Utd 2–1 Man City". BBC Sport. BBC. 12 February 2011. Retrieved 4 May 2012. ^ "Premier League 20 Seasons Awards: Best Goal". Premier League. 17 April 2012. Retrieved 17 April 2012. ^ "Wayne Rooney's goal the best I have ever seen, says Manchester United manager Sir Alex Ferguson". The Daily Telegraph. 13 February 2012. Retrieved 4 May 2012. ^ a b "Manchester derby wins 20 Seasons Best Match". Premier League. 12 May 2012. Archived from the original on 15 May 2012. Retrieved 12 May 2012. ^ "Man Utd 4–3 Man City". BBC Sport. BBC. 21 September 2009. Retrieved 12 May 2012. ^ "Premier League 20 Seasons Awards: Best Match". Premier League. 17 April 2012. Retrieved 17 April 2012. ^ a b "Iconic Cantona wins 20 Seasons Best Celebration". Premier League. 13 May 2012. Retrieved 13 May 2012. ^ "Premier League 20 Seasons Awards: Best Celebration". Premier League. 17 April 2012. Retrieved 17 April 2012. ^ "Man Utd dominate 20 Seasons Fantasy Teams". Premier League. 14 May 2012. Archived from the original on 18 May 2012. Retrieved 14 May 2012. ^ "Premier League 20 Seasons Awards: Fantasy Team". Premier League. 17 April 2012. Archived from the original on 22 May 2016. Retrieved 17 April 2012. ^ a b "Photo of Rooney goal wins Barclays award". Premier League. 31 May 2012. Retrieved 31 May 2012. ^ a b c "20 Seasons Awards honours Shearer, James & Giggs". Premier League. 15 May 2012. Retrieved 15 May 2012. ^ "Football Extravaganza starts 20 Seasons celebrations". Premier League. 12 April 2012. Retrieved 12 April 2012. This page was last edited on 9 January 2019, at 07:35 (UTC).